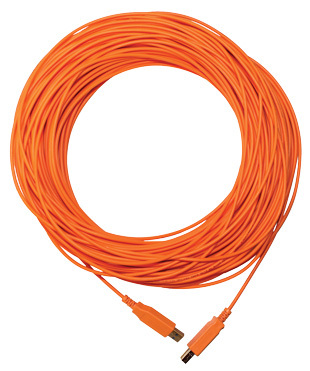 View cart “50m (164 ft) USB 3.0 Active Optical Cable” has been added to your cart. The USB 3.0 High Flex Active Optical cables offer a high flex kevlar core, which can withstand more than 10 million bend cycles at a 50′ radius and exceptional durability and performance in tough industrial environments without any compromise in weight and thinness (3.0 mm). 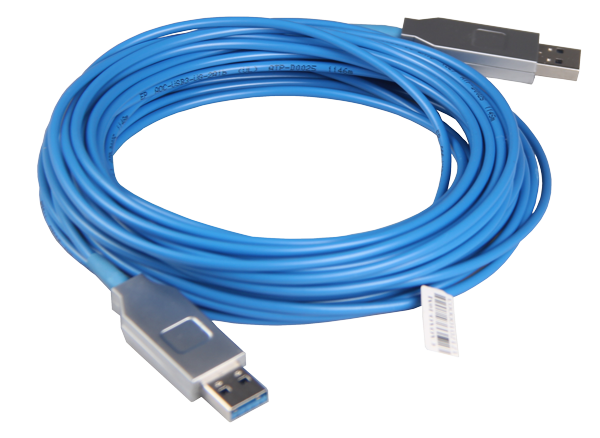 The USB 3.0 Active Optical Cable (AOC) is designed to be compliant with SuperSpeed USB electrical specifications, offering seamless interoperability between existing USB 3.0 hosts, hubs and devices, ensuring a trouble-free plug-and-play experience and exceptional performance in environment with high EMI and RFI. Backward compatible with USB 2.0/1.1 with use of included USB Super(TM) adapter. Specification of Fiber Optical Cable: OM1 dual 62.5 um core Fiber, high flex kevlar. The USB 3.0 Hybrid Active Optical cables resolve one limitation of pure optical cables which cannot supply power to the end device. On the basis of the use of a thin profile (3.7 mm) optical fiber as the transmission medium, the Hybrid AOC integrates copper to supply power both the active components of the cable and the device(s), in the case they are bus powered. 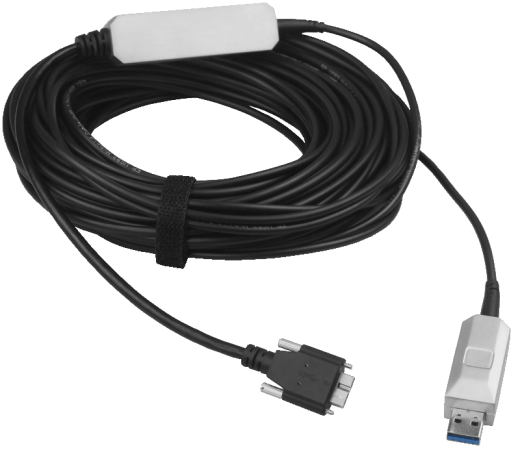 The USB 3.0 Hybrid AOC can extend the USB 3.0 bus up to 50 meters or 164 ft with a maximum bandwidth speed of 5 Gbps and features a Micro-B connector with screw lock support, making it ideal for machine vision & industrial applications. Auxiliary power supply for devices with more than 2W power dissipation via USB 2.0 Micro-B connector. The Unibrain USB 3.0 Active Optical Cable (AOC) was designed to be compliant with SuperSpeed USB specifications, offering seamless interoperability between existing USB 3.0 hosts, hubs & devices. With an ultra thin profile (just 3mm OD), the Unibrain USB 3.0 AOC breaks the distance barrier and introduces USB 3.0 devices to a whole new range of applications, such as long distance machine vision, security & High Definition surveillance, industrial & medical machine control. 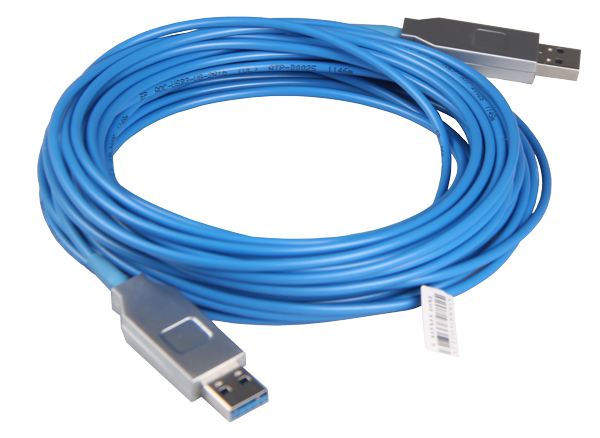 The USB 3.0 Active Optical Cables are also ideal for applications that have strict EMI/RFI requirements.